Lock in a great price for Arena Beach Hotel – rated 8.9 by recent guests! 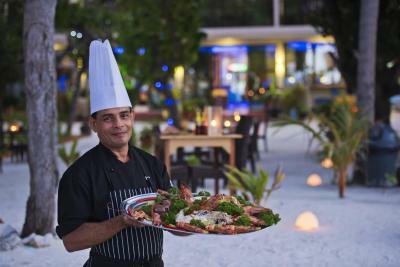 The staff at Arena Beach is amazing, extremely friendly, courteous, always had a smile on their faces. The waiters were very pleasant and willing to help. The food was okay, however, there was no consistency (in terms of what you order today was not cooked/prepared the same the following day). The other guests at the hotel was also a joy and comfortable to socialize with. 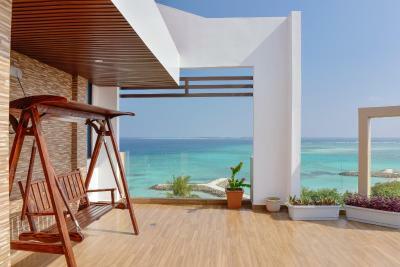 Great view from balcony, nice beaches just steps away, comfortable bed, good breakfast spread. The location and the friendly staff!!! Highly recommended! Staff was very helpful, rooms nice and clean, food delicious! Five stars to staff member Ramil! He was very helpful! Unfortunately he was not working the night before our departure so we could thank him personally. The property is actually very nice. The room is very clean and homey. The bed is very comfortable. The staff in the front desk were very accommodating and nice. They will answer your question and inquiries patiently in which most of the guest really needs. 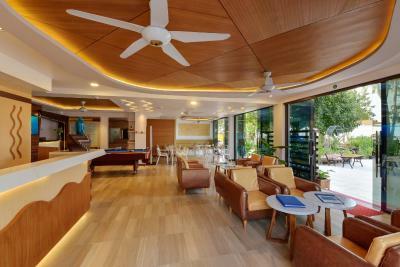 The staff was very friendly and helpful before i arrived and during my stay at the hotel. The hotel is located right at the beach front and if you happen to have a balcony facing the beach its an amazing view. Maffushi is also a very nice small island. Nice small hotel, great beachfront, great service. I will totally stay here again. They also helped me book a one day excursion to a resort whihc was amazing as well. 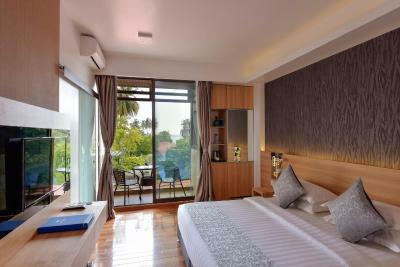 Very Clean and near to the beach n view from the room is awesome. Staff is very helpful. Buffet is awesome too with good menu. 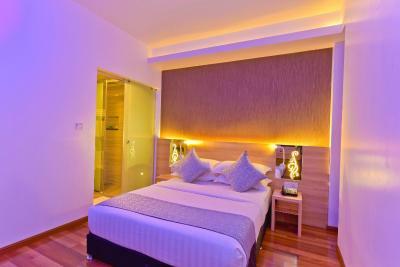 Arena Beach Hotel This rating is a reflection of how the property compares to the industry standard when it comes to price, facilities and services available. It's based on a self-evaluation by the property. Use this rating to help choose your stay! 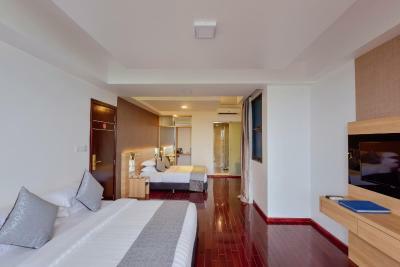 One of our top picks in Maafushi.Located along the coastline of Maafushi, Arena Beach Hotel features modern and tranquil accommodations with free WiFi access in the entire property including rooms. 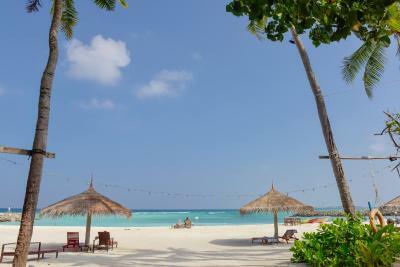 Guests can enjoy water sports activities such as diving, snorkeling and windsurfing on site. 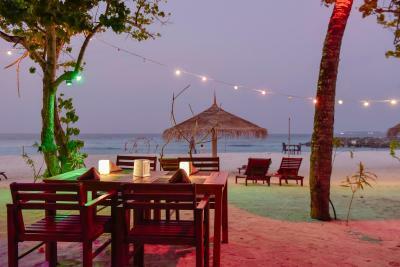 Located right on the sandy beach, the in-house restaurant serves delectable local and Western cuisine, accompanied with views of the blue lagoon. 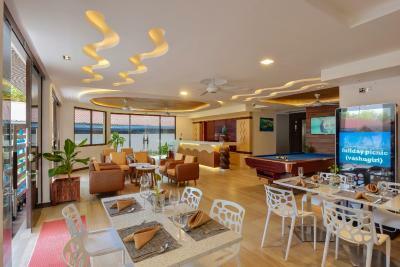 When would you like to stay at Arena Beach Hotel? Featuring a balcony with sea views, the air-conditioned rooms include a personal safe, electric kettle, a wardrobe and a flat-screen TV with cable/satellite channels. 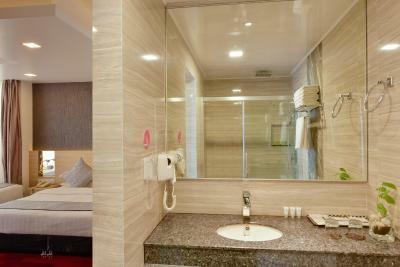 Featuring a bathtub or a shower, the private bathrooms also include a hairdryer and free toiletries. 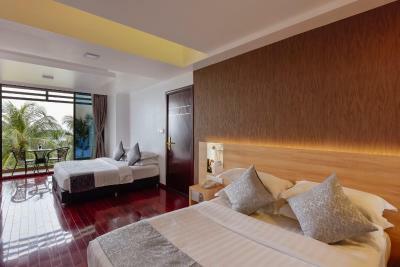 Rooms are fitted with 1 double bed and 1 single bed. Featuring a balcony with city views, the air-conditioned rooms have a personal safe, electric kettle, a wardrobe and a flat-screen TV with cable/satellite channels. 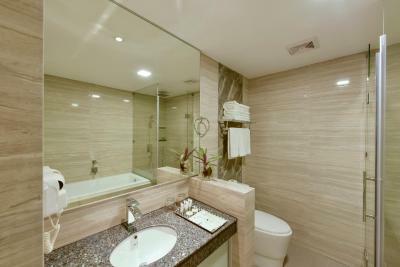 With bathtub or a shower, the private bathrooms also include a hairdryer and free toiletries. 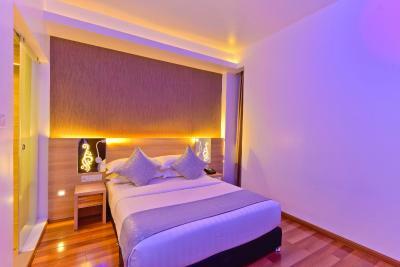 Bedroom is furnished with double beds, wardrobes with hangers, adequate lighting, and high quality cotton non-allergic bed linens. A double sofa bed can also be found in the living room. One spacious bathroom is included. 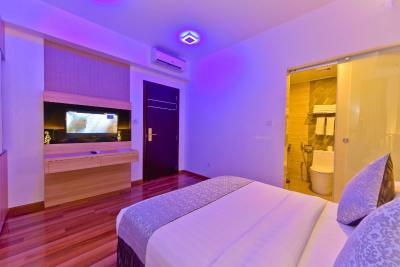 This room comes with a personal safe, electric kettle, a wardrobe and a flat-screen TV with cable/satellite channels. 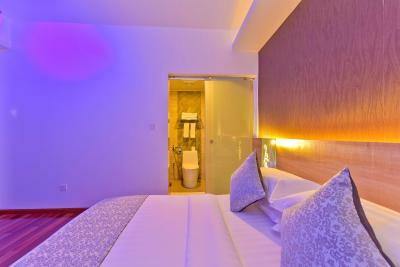 Offering shower facility, private bathrooms also include a hairdryer and free toiletries. Please note that the room does not have any window or balcony. House Rules Arena Beach Hotel takes special requests – add in the next step! Arena Beach Hotel accepts these cards and reserves the right to temporarily hold an amount prior to arrival. The hotel is located in the local island of Maafushi where the government regulations require that guests do not wear bikini or similar swimwear while in the public areas. 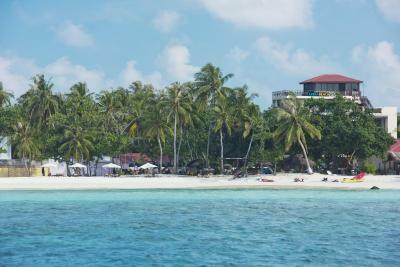 However, the hotel can arrange excursions to picnic islands for guests where these restrictions are not applied. To reach the hotel in Maafushi Island, a public ferryboat or chartered speedboat can be arranged by the hotel for which payment will be collected upon check-in. Please contact the hotel directly to arrange your transfer at least 3 days prior to your arrival or indicate this under Special Requests when booking. Your arrival and departure flight details and full names of traveling party will be required. - Ferryboat takes 90 minutes to reach Maafushi Island and costs approximately USD 2 per person per way. - Ferry departs from Villingili Ferry Terminal in Malé at 15:00 hrs / Ferry departs from Maafushi Island at 07:30. - If your flight lands after 13:00, you will need to take the speedboat transfer or make arrangements to spend the night in Male. - Shared speedboat transfer for a surcharge of approximately USD 30-50 per person for a minimum of 5 people in a group. 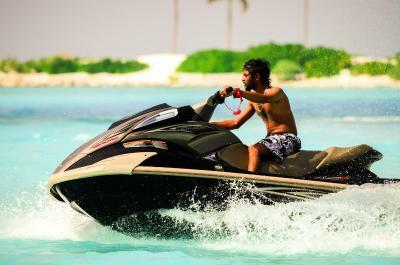 - Advance booking is required for speedboat transfers. 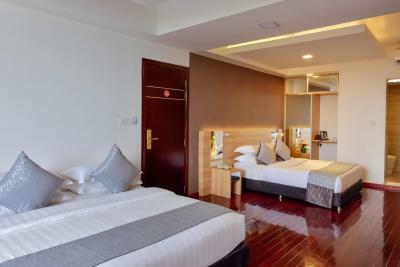 I found the hotel to be little overpriced..
Really small rooms, bad sound proofing, very very hot although we used the air conditioning throughout the day, I guess it has to do with the materials used when building. 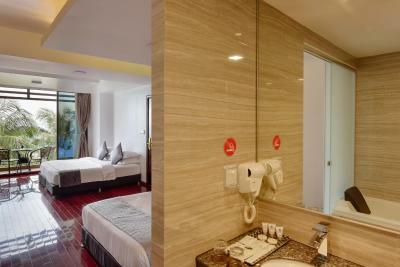 The personel cleaned the rooms every day, changed the towels and left 2 0.5l water bottles. The only drawback is the building site next door! Loved all the personnel, whether cleaning staff (Saddam) or the service (Hisham and all others). All are very attentive. Would visit anytime again. Very good food (we preferred a la carte) and juices. Food choices could have been better. Repeated reminder for checking out the room at 12:00 pm. There was a construction side near by so that was annoying. The location was very good near by bikini beach and everything are in a walking distance. There was nothing to complain about the room, it was clean and had a comfortable bed. Breakfast was okay, nothing special but there is all you can need in the morning; eggs, toast and fresh fruits for example. Most of the staff were very helpful and kind. The first thing I noticed upon arrival at this property was that there was construction going on and that the property manager failed to mention this either on their website or during communications. The noise was unbearable and started early in the morning and continued late into the evening. If you were there to relax that was going to be a problem, I had a headache (migraine) one morning and I had to leave the property because the noise made it impossible to get any rest...try enjoying your day with a migraine and no rest. The mattress was uncomfortable and lumpy. The management needs to be more upfront with the customer and let them know about the construction and allow them (the customer) to make the decision as to whether or not to choose this hotel or stay somewhere else, and not let them book this property to find out upon arrival that they're constructing another building right next door. Our concerns are so many flies when we eat. You shout put candles or something to lessen the flies. The house keeping doesnt put fresh towels and forget to give us soap and toothbrushes all the time. Customer service are awesome specially the servers and waiters. Local Maldivian servers you're the best! We love ethel very good customer service! Room was small and without window which was quite awful, I knew that we will have this room while I made a booking but now I know I’ll never book room without window. Room also would need some renovation. Restaurant staff some of them was nice and gave us good service but most of then was slowly. Great location next to bikini beach. Shark bay snorkelling trip was wonderful. Dinner buffet was good as well as breakfast. Hotel staff was very helpful and kind. We stayed this hotel on the second time. We booked a seaview room with breakfast. This time we got a room on a new wing of the hotel. On the 4th floor and we had an incredible view to the sea. We asked for an airporot transfer, our flight was delayed and more flight arrived on the same time, so there was a terrible queue to the passport control, so don't arrive to our boat transfer on time. They were waited for us and we were so thankful to the crew of the hotel. The room contained water heater, nescafe, sugar, coffee creamer. One water is complimentary per day. Usually the breakfast and dinner is buffet type in front of the hotel. Buffet dinner is 12$/person (Price in 03.2019). There are wide range of foods so everybody must find something to eat. There are a lot of newsness what they didn't have the last time when we were here (2017). On bikini beach there are two very good swing. There are a two seated swing in the water. It's hard to come near beacuse there are a lot small stones in the sea and the swing is covered by alga but it's worthwhile to try it. It's typical maldivian. There are a good "sandbank" on bikini beach (not a real sankbank because the foot is under water), it's very nice. And there are fish crowded coral reef (next to this sandbank) with teeming underwaterlife. On the jetty there is a selfie point with a big Maafushi sign.